Like his cohorts, this figure is essentially a fancy statue. 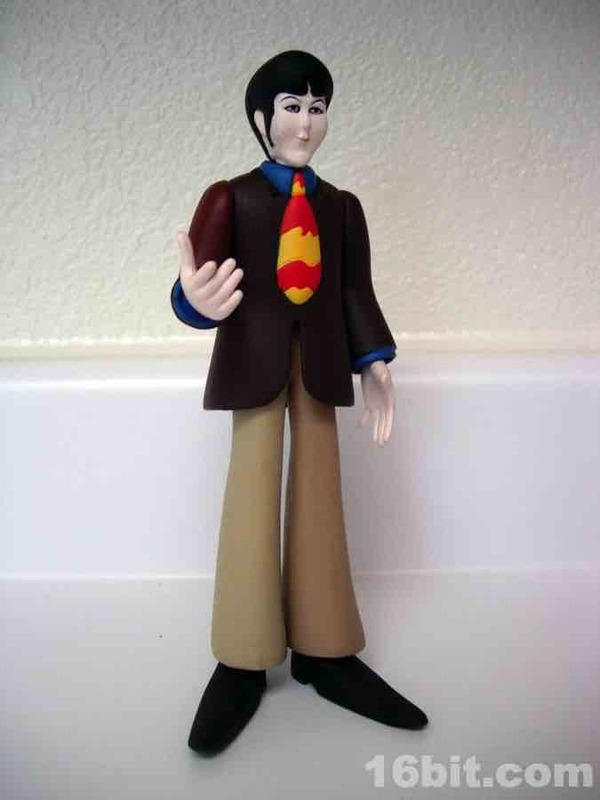 Jointed at the waist, neck, shoulders, ankles, and wrists, McFarlane engineered this one to look good, no matter how you pose it. 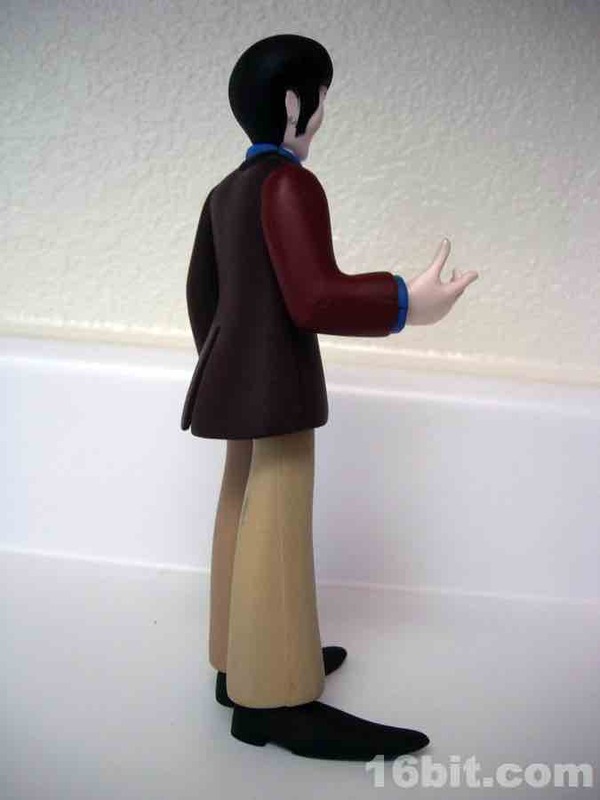 This is no small feat, and one other toy developers could take care to employ themselves-- articulation is great, but not at the expense of the figure's looks. 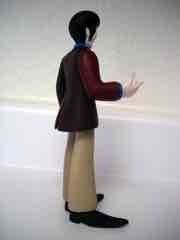 (Well, at least as collector figures are concerned. Kid toys need to be fun.) 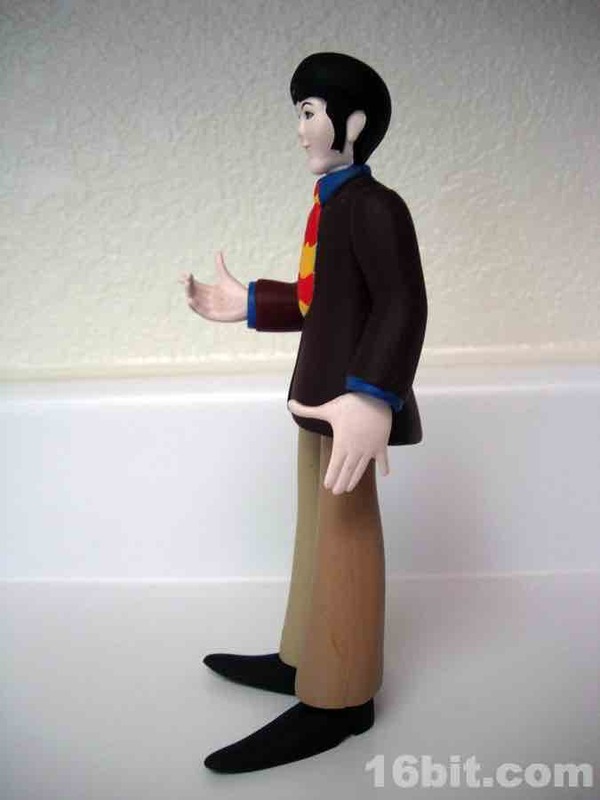 Paul was designed to stand around, and McFarlane Toys outfitted him with sufficient articulation so you can fidget with him a little bit while he stands guard on your desk. 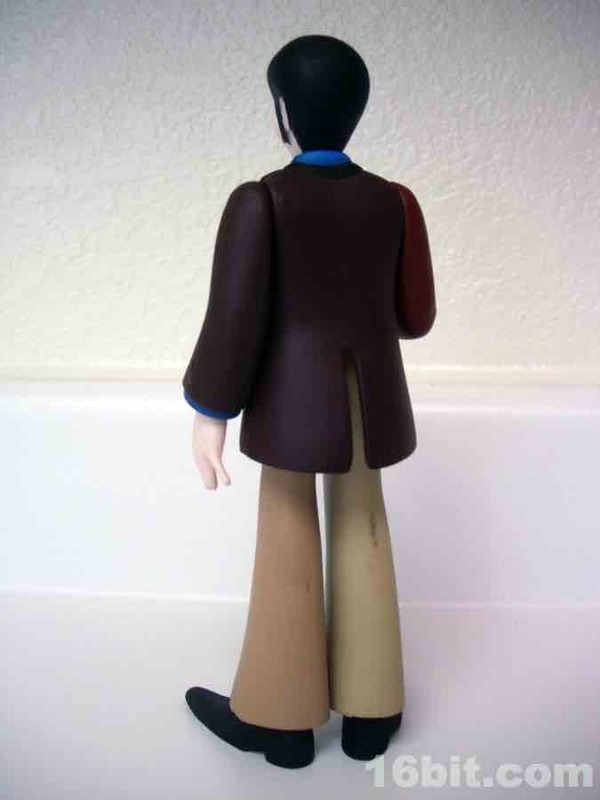 In a world where Hallmark can make a realistic Paul McCartney figural collectible but the action figure companies can't, there's probably no ideal figure set for Beatles fans. There are some figures based on another cartoon as well, but there's no substitute for realism. Maybe someday we'll see it, but for now this is one of your best bets at a low price. 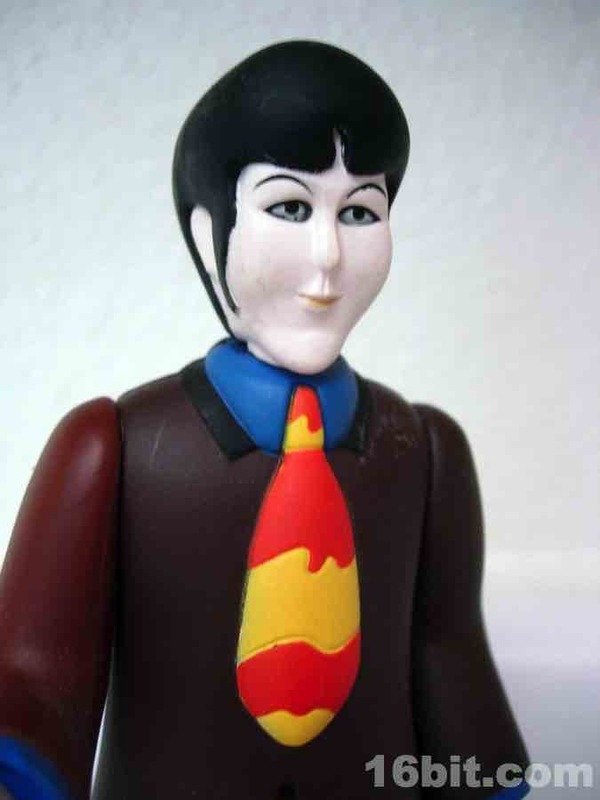 I'd suggest going with the Knucklebonz version of Yellow Submarine Paul McCartney if you have a few extra bucks to throw around, though, he looks a lot better in terms of the sculpt and seems to radiate much more in the way of personality. 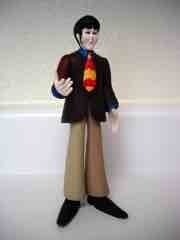 Paul was available in numerous configurations-- including a variant which included Fred rather than Jeremy. So to get a complete set of Yellow Submarine figures, you'll probably wind up with some duplicates.